As seen most recently on Danny Dyer’s Right Royal Family, BBC1, 23 and 30 January 2019 at 9 pm (and thereafter of course on the BBC i-player). 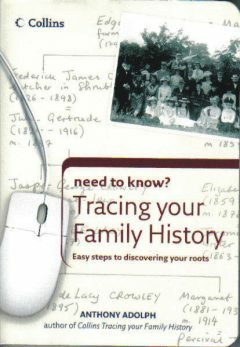 Have your family tree traced properly, using original records in archives, by a properly trained genealogist with over a quarter of a century’s experience. Whether you want your family tree traced as far back as possible, or want to learn more about particular ancestors; seek living relatives; look for aristocratic connections and coats of arms; understand your surname or study your origins using genetics and DNA, I can help. No assignment is too great or small, or too obscure – it is through working on a wide variety of widely-varying cases for clients all over the world that I have amassed my expertise. To read more on having your ancestry traced, have a look at my Family Tree Research page. 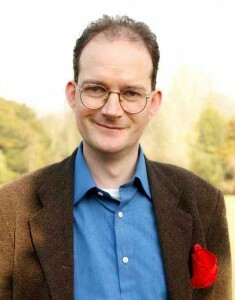 Born in 1967, I was educated at St George’s College, Weybridge and studied Medieval History at Durham University. Encouraged to pursue a career in genealogy by Sir Conrad Swan, York Herald of Arms (and later to become Garter Principal King of Arms), I studied at The Institute of Heraldic and Genealogical Studies under Cecil Humphery-Smith, O.B.E., F.S.A., who was proud to trace his ‘pedigree of learning’ back, teacher-by-teacher, to the great Stuart antiquarian, Sir William Dugdale (1605-1686). I continued to lecture at The Institute and worked for twelve years as a researcher, and latterly Research Director, for The Institute’s supporting firm of professional genealogists. I served meantime, from 1990 to 1998, as Hon. Secretary of English Record Collections. The best and most momentous decision of my life was to become freelance in March 2003. 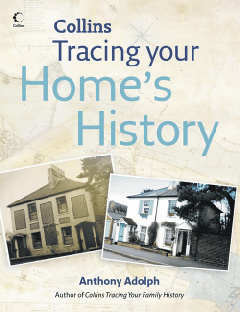 I have worked as a professional genealogist, writer and broadcaster ever since – and have not looked back once. I celebrated my quarter century as a professional genealogist on 1 September 2015, and to this very day I am doing exactly what I started doing on 1 September 1990 – tracing family trees. As a freelance professional genealogist, I provide a complete range of services from one-off searches to full scale projects to trace family trees, all over the British Isles and in many countries abroad, from the United States to Greece, and investigates all aspects of surname origins, heraldry, house histories and much more besides. If you would like to watch me talking enthusiastically about surnames and genetics, click here. My television career began in earnest in 2000, with the broadcast of Channel 4’s Extraordinary Ancestors, which I researched single-handed, and co-presented with Shilpa Metha. I have subsequently researched and presented programs on genealogy for Radio 4, BBC 1, ITV’s GMTV and This Morning, UKTV and Living TV, and have appeared alongside Melanie Sykes, Bill Oddie, Fern Britton, Philip Schofield, Lorraine Kelly, Liza Faulkener and many more. These programs were a major factor in turning genealogy into the immensely popular pastime it is today, and laid the foundations for Who Do You Think You Are?, for which I investigated the origins of Jeremy Clarkson and suggested including Stephen Fry. For my TV work, and also my books, I was nominated – as I was somewhat nonplussed to discover – as one of the world’s ‘Genealogy Rock Stars’ in January 2012. I was resident genealogist for Genes Reunited since the site began in 2003 and gave monthly live web-casts on the site every month until the start of 2015 and have since given period webcasts for its sister site, FindMyPast. 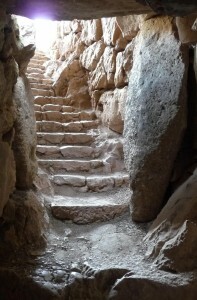 I wrote 13 articles for The Oxford Dictionary of National Biography and have written over 300 articles on many aspects of history and family and home history for a wide variety of publications from The Sunday Times to Your Family History, covering subjects as diverse as Keralese ancestry, Tudor research, Suffolk landscape artist Perry Nursey and interviews with the likes of the British Ambassador in Armenia, Garter King of Arms and the editor of Burke’s Peerage and have researched and written about ancestry of celebrities such as Stephen Fry, Joanna Lumley, Orlando Bloom, Ronnie Corbet, Michael Palin, J.K. Rowling and Hugh Grant: Hugh was kind enough to comment that ‘I grew up knowing a bit about my recent heritage, but now I know about the ancient links and it’s something I hold dear’. 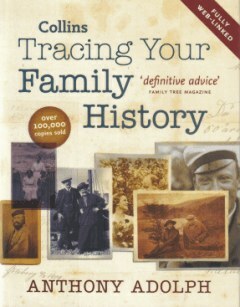 My first book, Tracing your Family History, was published by Collins in 2004. I used the opportunity to pull the previously rather boring genre of genealogy ‘how-to’ books into the 21st century by including all aspects of family history, from basic records right through to heraldry, surname origins and DNA. 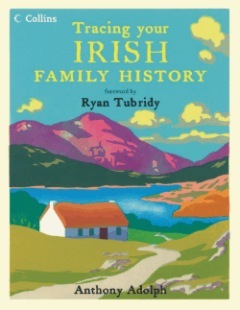 My subsequent books on house history, Scottish and Irish genealogy have sought to reach even further, the latter two again exploring beyond the records into the realms of genetics and the real and mythical origins of the Scots and Irish. 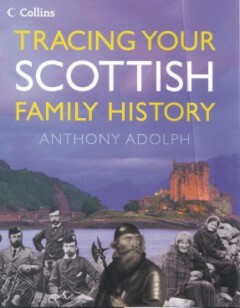 My Irish book was described by November 2007’s Who Do You Think You Are Magazine as ‘a rare achievement’, whilst of his Scottish one, Family History Monthly wrote ‘Adolph triumphs!’. I followed this with Who Am I? 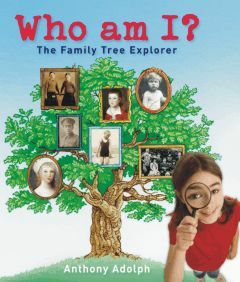 The Family Tree Explorer, introducing genealogy to children, and was delighted when the book was recommended, highly, by Blue Peter. ‘I would recommend this book unreservedly’ wrote Sarah Williams, editor Who Do You Think You Are Magazine, whilst Joan Griffis wrote, in The News Gazette ‘of all the how-to books I have ever seen, Adolph’s are the most beautiful’. 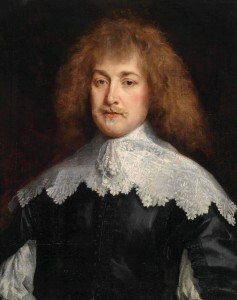 Henry Jermyn, Earl of St Albans, the subject of my 2012 biography ‘The King’s Henchman’. 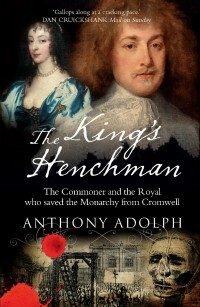 My next book, The King’s Henchman: Henry Jermyn, Stuart Spymaster and Architect of the British Empire was published by Gibson Square in November 2012 and earned me membership of the prestigious Biographer’s Club. It was chosen by the Daily Express (7 December 2012) as one of their Top Non-Fiction Christmas Reads and Dan Cruickshank described it in a review in the Daily Mail as A rich and heady brew that gallops along at a cracking pace’. Henry Jermyn has been a great interest of mine since 1999 and in 2010 I put up a Westminster Green Plaque commemorating him on the corner of Duke of York Street and St James’s Square in London, which the Marquess of Bristol was kind enough to unveil. Following hard on that book’s heels was Tracing Your Aristocratic Ancestors, which Pen and Sword published in February 2013. It was endorsed by our most prestigious genealogical publication, The Genealogists’ Magazine (the journal of the Society of Genealogists) as ‘an excellent book…. highly recommended’. In it I explained not only how to deal with family stories, not all of which might be true, but also how and why many aristocratic lines can be traced back to royal ones, and where you can go from there. This takes us back into the origins of genealogy itself, and humanity’s obsession with marking and taking possession of Time – by linking the pedigrees of their ancient kings back to the immortal gods. Understanding that salient fact is key to understanding why any of us are interested in this subject. My two latest books were published in 2015, and they focus on the bigger picture – the myths which which our ancestors created about where they thought they came from, and the actual story of our human development and evolution as revealed by science. 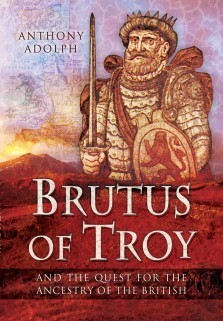 My book Brutus of Troy, which both seek to take British genealogy back further than it has ever gone before and which was described by Your Family History as ‘a fascinating account of how the British people have mythologised themselves’: I made a short film about this, which you can watch here. The UNVR website praised the way my sentences ‘seem to walk off the page, and my head at once became full of delightful images of rampaging tyrants and Trojan heroes’. 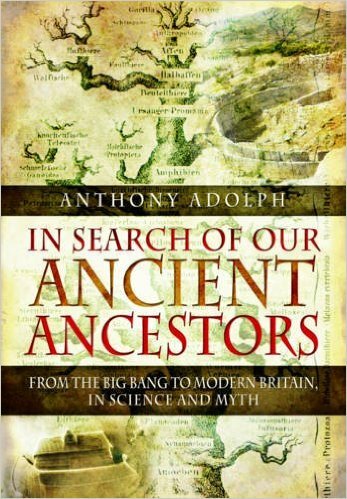 Meanwhile, my book In Search of Our Ancient Ancestors (which was voted ‘our top choice’ by Family Tree magazine) delves further into world origin myths, and also tells the story of our evolutionary family history according to modern scientific thinking. I am making a series of short films about this, the latest of which is here. 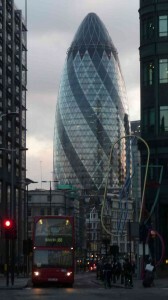 The ‘Gherkin’ (30 St Mary Axe), which stands on the site of my Adolph ancestors’ first office and home in London. I grew up knowing virtually nothing about my ancestry, but since the age of 15 I have discovered that my male-line ancestry is German, going back to indigo merchants who came from Hachenberg in north Germany to settle in London, on the site of the modern Gherkin Building, in 1832. Through them and using genetic testing I can trace my ancestry back through the male line haplogroup G to the origins of humanity and prove a close family connection to Otzi the Iceman. 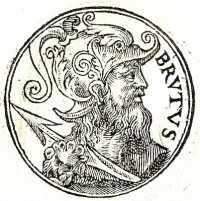 The wives of subsequent generations have provided me with a lively mixture of English, Scottish, Welsh and Irish ancestry: I am a quarter Irish through my maternal grandmother, with a possible connection to Peregrine O’Duigenan, one of the genealogists who recorded orally-transmitted Irish genealogies in the magnificent Annals of the Four Masters. One line of my ancestry leads back, via the family of Cardinal Pole, to Edward III and beyond, to the ancient Kings of Lydia. Another provides me with a cousinship – that I was thrilled to discover – via the Fairfaxes, with H.R.H. the Duchess of Cambridge (she is my 10th cousin once removed). When I traced my Fairfax ancestors, I had no idea that an obscure young woman at the other end of a collateral line was suddenly going to become the consort of our future king, and it just goes to show that time spent tracing family lines is never wasted. A further line which I discovered goes back to Thomas Cromwell, Vicar-General to Henry VIII, who introduced parish registers to England in 1538: I am extremely proud to be descended from the man who introduced a body of records without which most family history research would be impossible. But enough about my origins! Let us begin the journey of finding about yours.